This is the third release I have received from James Blackloud and I have to say that they keep getting better. What a unique songwriter. For those who are not up on Blackloud, it is a one man project. James is focused on delivering his songs over the top of some pretty unique and spaced out and effected bass lines (no guitars), with the additions of samples, synths and other strange sounds as well as a very cool voice. "Awake From Hell" begins the CD with a cool spaced out sound built on a cool bass line. The vocal delivery reminds me of David Byrne at times. The synths are more prominent on much of the material here but they are very effective. This release has a bit of the Byrne-Eno influence written all over it. "7 Horses" features a very heavy bass line and some very cool female vocals as well. "Iron Fist" (not the Motorhead song), is quite a psychedelic production with loads of strange electronic sounds but a highly addictive groove and vocal delivery. Strange lyrics as well. This is for sure the most psychedelic of the Blackloud material but each track is a unique journey or trip of some sort. While this might be too far out for some people, I just love the stuff. 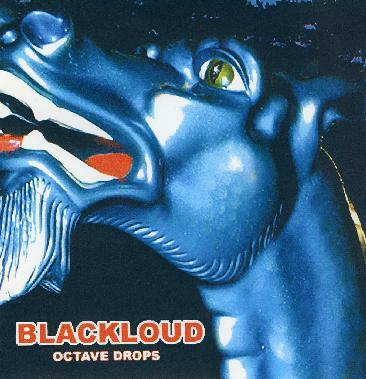 For more information you can visit the Blackloud web site at: http://www.blackloud.com.